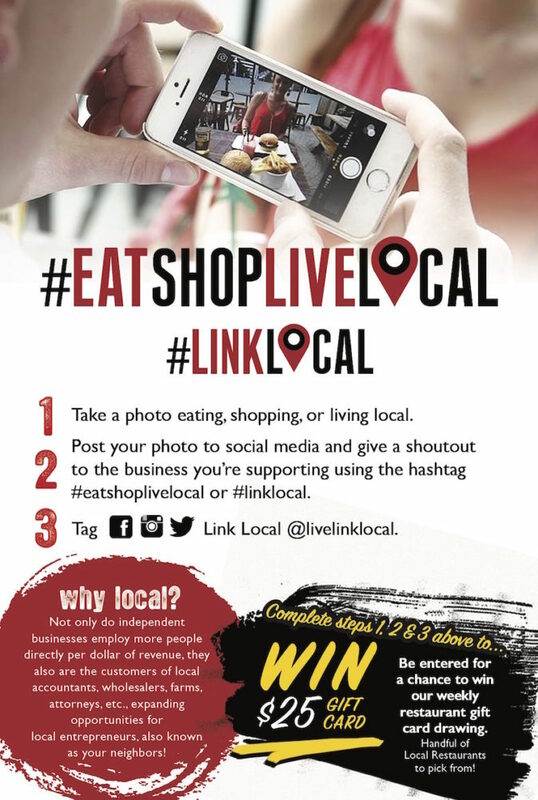 Hello Woodlands and Link Local have joined together to raise awareness and support local businesses in our community through #EatShopLiveLocal. Join the movement on social media and learn how to get involved at EatShopLiveLocal.com. “Pizzas, pastas, meatballs, sauces, sandwiches, and Italian dishes – everything is made from scratch and natural,” said Guillermo Medellin, owner. 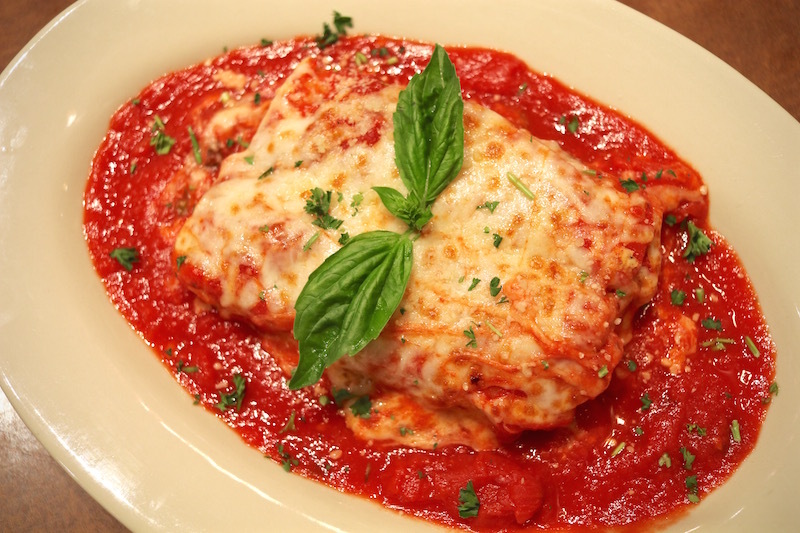 Craving a freshly baked Italian dinner, bowl of pasta or maybe a slice of pizza? 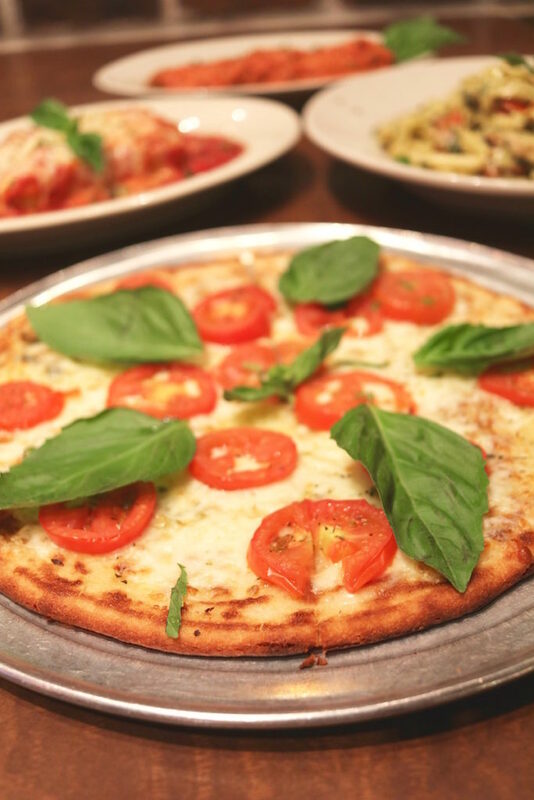 You’ll want to grab the family and stop by Russo’s New York Pizzeria – with locations close by in The Woodlands, Conroe, and Tomball (Spring Marketplace). 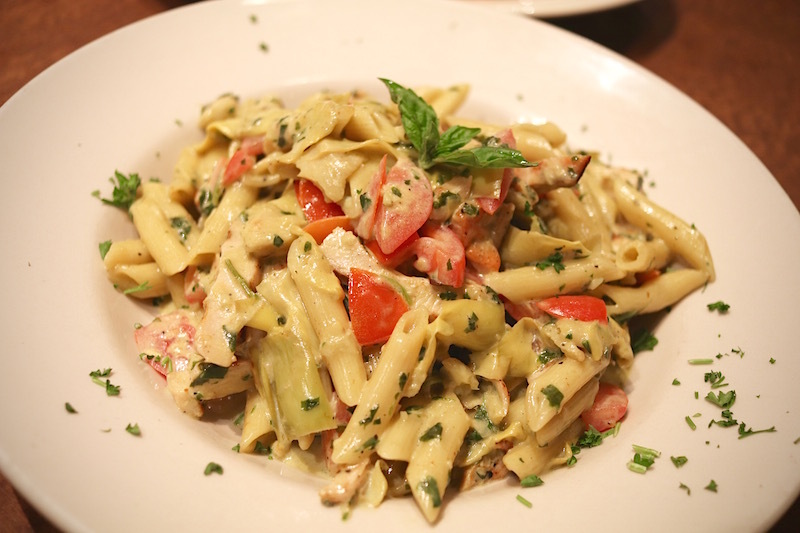 Russo’s serves fan favorites plus gluten free and vegetarian options. Guillermo Medellin and his wife Debra both had professional careers, with Guillermo working in the Manufacturing industry in Mexico, his home country, and Debra as a Attorney in Downtown Houston. After moving to The Woodlands and having their first child, they fell in love with the community, wanted to get much more involved and give back. The Medellin family had been guests and fans of Russo’s and one day learned that the restaurant was for sale. They decided this was their chance to make a change! So in 2009 Guillernmo sold his company, Debra moved her practice to The Woodlands, and they took on the exciting challenge of running the restaurant servings coal-fired New York-style pizza and authentic Italian meals. Originally when the Medellins took over ownership of Russo’s they loved the food, hated the service, and vowed to make a change. They focused on taking care of their community, putting guests first and training staff to make the dining at Russo’s a fantastic experience from start to finish. Now 8 years later, they continue to be involved with the community by partnering and being active in schools, local chambers of commerce, non profit organizations, churches, festivals and local events. 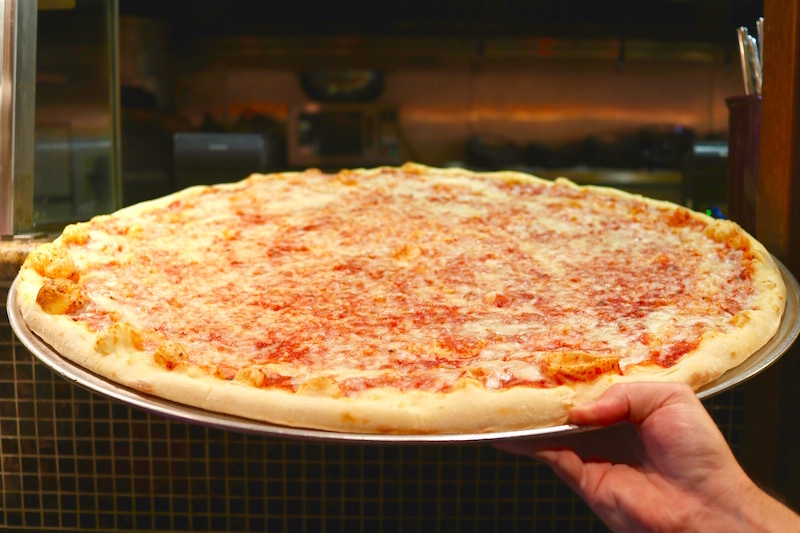 Russo’s New York Pizzeria serves a 28″ party pizza – just big enough to fit through the door! Now with 3 locations, Russo’s offers fan favorites like lasagna, fettuccine alfredo, pepperoni pizza, and their famous 28″ party pizza – just big enough to go through the door! They also offer gluten free options (even pastas and pizzas), vegetarian dishes, baked wings, lunch specials, wine, local brews on tap, and happy hour on weekdays from 3 to 6 p.m. From a party of one and small groups to large events and weddings – Russo’s is ready to meet the needs of their guests and serve not just a delicious meal, but an enjoyable experience. Learn more about Russo’s New York Pizzeria and menu items at www.nypizzeria.com.